Magnolia tree (Scientific or Botanical name: Magnolia) of Magnoliaceae family, is native to East Asia and the Himalayas, Central America and eastern North America. It is one of the most magnificent of the fragrant trees, the Southern Magnolia (Magnolia grandiflora) is very fragrant. It is named after French botanist Pierre Magnol, Professor of Medicine and Botany at Montpellier. Continue reading below to know all the magnolia tree facts including magnolia tree types, fertilizer for magnolia and how to care for magnolia tree. Common names of magnolia are Him Champa in Hindi, Rukh Kamal in Nepali, and Oothambal in Manipuri. Most magnolia trees are hardy in USDA Zones 7 through 10; however, there are some cultivars that can grow in zone 5. Magnolias can grow up to 80 feet tall with a spread of 30 to 40 feet [1, 2-4]. Magnolia has dark green, oval shaped waxy leaves. White or Yulan Magnolia (Subgenus Yulania) is the official flower of Shanghai (China). M. grandiflora is the official flower of Louisiana and Mississippi . Magnolia sieboldii (M. sieboldii) is the national flower of North Korea and Gangnam. Magnolias tree represent dignity and nobility. In ancient China, magnolias symbolized the symbols of womanly beauty.The white magnolia flowers are considered to reflect and emphasize the bride's purity and nobility in American South. 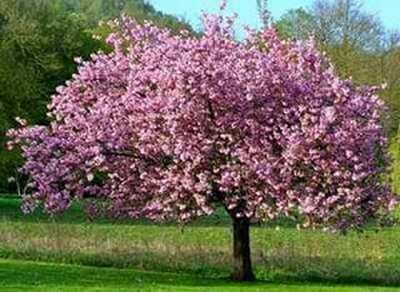 There are many different types or varieties of magnolia tree. Depending upon the species, magnolias may be evergreen, semi-evergreen or deciduous type. The evergreen magnolia trees retain their leaves even in winter months while the deciduous magnolia trees drop their leaves in winter. Southern magnolia or Bull Bay magnolia (Magnolia grandiflora): Shiny foliage with white fragrant blooms. Tree height up to 80 feet. Magnolia tree Little Gem will grow around 30 feet tall. This type of magnolia has a spread up to a 40-foot spread due to its lower branches bending to the ground. Banana shrub (Michelia figa): Glossy green foliage with creamy yellow blooms. Tree height 8-15 feet. Champaca (Michelia champaca): Large bright green foliage with extremely fragrant orange-yellow blooms. Tree height 10 to 30 feet. Sweet Bay (Magnolia virginiana): Fragrant creamy white blooms from late spring and summer. Tree height up to 50 feet. Magnolia doltsopa. Winter blooming, Large scented white flowers. Deciduous magnolia trees are frost hardy. Some of the varieties of magnolia flower in late winter and continue until the end of summer. Star magnolia (Magnolia stellata): Withstands cold, white blooms in late winter and early spring. Tree height 15 feet or more. Bigleaf magnolia (Magnolia macrophylla): Slow growing, accuminatawhite flowers. Tree height about 30 feet. Cucumber tree (Magnola accuminata): Greenish-yellow blooms in late spring and summer. Tree height 15 to to 80 feet. Magnolias have large, richly-coloured and mostly fragrant blossoms, from early spring to late summer, but the evergreen variety can flower all through the summer months. The flowers are white, yellow, pink, lemon yellows, vivid purples and iridescent ivory purple shades. Different magnoila types produce flowers of different shapes including champagne-flute, bowl, cupped, goblet and chalice forms. While the star magnolia (M. stellata) and the saucer magnolia (Magnolia × soulangeana) bloom quite early in the spring, the sweet bay magnolia (M. virginiana) and the southern magnolia (M. grandiflora) in late spring or early summer. Magnolias flowers release sugary scent which attracts bees. The magnolia flowers do not produce nectar, but their pollen contain proteins which bees use as food. Caring a magnolia tree is simple but you should keep in mind the specific need for postion, watering and mulch for the magnolia tree. Many times the tree will not flower if you dont care your magnolia tree properly. Magnolias need a temperate climate to grow. Magnolia tree grows well in a sunny spot, at least half a day’s sun or lightly shaded position, however, needs protection from very hot sun, hot strong winds, damaging wind and frost. Protect the roots from severe freezing temperatures. You can shift the magnolia container in an unheated garage. Magnolias can grow in shade but bloom best in full sun. M. tripetala and M. macrophylla magnolias have large leaves, so they must be planted where high winds will not be a problem. Wind and frost can damage the blooms, so plant magnolias insheltered place. Magnolias have shallow roots, so they may not disturb underground pipes, building foundations or pathways. However, for seeking water, the magnolia tree roots may head to cracks in your plumbing pipes if the tree is planted too close to the house. Magnolia needs a slightly acidic and nutrient rich free draining soil with a pH of 5.5 to 6.5. Improve the soil before planting. I add azalea potting mix to general purpose potting mix in 1:3 ratio. Also add aged cow manure and/or compost and fish and bone meal to make the soil nutrient rich. Add river sand to make the soil free-draining. Add some water-storing crystals into the soil to keep the soil moist. Magnolia can be propagated from cuttings in summer or by grafting in winter or by sowing seed in autumn ,Grow magnolias by propagating from cuttings). Dig a planting hole that is twice the pot size. Carefully take out the plant by tipping around the pot and plant into the planting hole without root disturbance. Fill with nthe prepaed magnolia soil. Keep magnolias well watered during dry and hot summer weather. Any dry conditions will damage the plant. You can create a dip around the tree to funnel water directly into the root zone. Apply a thick layer of the mulch in spring after flowering and in autumn. Cover this with a thick layer of sugar cane mulch. What is the best fertilizer for magnolia trees? Magnolias are not heavy feeders. Nitrogen is an important fertilizer for magnolias [5, 6]. Feed about 4-5 g of nitrogen for every inch of trunk diameter. Feed with a fertilizer that has approximately three times more nitrogen than phosphorous, so the best fertilizer for a magnolia tree would be that having N-P-K as 20%-5%-10%. The best time to fertilize a magnolia tree is at planting time, after that fertilize in the spring when the new growth begins. Spread the fertilizer on the soil surface 10 inch away fromthe trunk. In general, pruning is not recommended as that will encourage vertical growth which will make the look of the tree unattractive. If pruning is needed, do it after the tree flowers. However, you should prune the tree to repair from dead, diseased, broken or injured branches immediately. Prune carefully so as not to injure or wound the bark. Sometimes it so happens that the magnolia tree looks quite healthy but it fails to bloom or there are plenty of closed flower buds and they don't open. Many factors are responsible for the magnolia tree not blooming. The magnolia type is not suitable for your hardiness zone. That means that you have planted a magnoila tree that is suitable for warm condition but you are in cold region or vice versa. Of all the parts of the magnolia tree, the flower buds are most sensitive to cold. Buy your magnolia plant from your local garden shop to make sure the variety is well suited to your region. Position: While the magnolias can grow in shade but they flower best in full sun. Soil: The soil quality lacking in minerals and other nutrients and its acidity may be the problem for your magnolia not blooming. The nitrogen-rich fertilizer will encourage leafy growth only without producing flowers. Put the nutrients in the holes, 6 inches apart around the drip line of the tree and water well. Can magnoilas be grown in containers? The answer is yes, if grown in a very large pot having a drainage hole at the bottom. Even the dwarf Little Gem magnolia tree variety grows to 3-4 (meter 9-12 feet) high. The good thing is that magnolias are slow growing, so even the normal varieties can be grown is pots. For example, the normal Little Gem, a type of southern magnolia will reach 20 feet high in 20 years! You can choose from Little Gem, Star Magnolia, Royal Star and Magnolia X Ann magnolia for growing in containers. Use a potting mix rich in organic matter and nutrients. Water regularly to maintain moisture in the soil. Once a month, feed your magnolias with a liquid fertilizer during the growing season. How Fast Does a Magnolia Tree Grow? Magnolias are slow to rapid growers. However, how fast a magnolia tree will grow varies with the growing conditions and the magnolia cultivar. A cucumber tree (Magnolia accuminata) can grow over 25 feet tall in 10 years. Southern magnolias grow from 1 to 2 feet a year, reaching 60 to 80 feet tall with canopies spreading 30 to 50 feet wide. Surprisingly, the roots of a magnolia tree do not go deep down in the soil. The magnolia trees roots are large and flexible like thick threads, which grow horizontally quite close to the soil surface but spreads to large distances. The magnolia roots, therefore, can be damaged by moving cars, heavy equipment etc. Though, the magnolia root system is considered non-invasive, it is possible that the roots can enter plumbing pipes to seek water if the tree is planted close to the house. The magnolia tree distance of 6 and 12 feet from any building foundation may be safe. 4. Johnstone, G.H. (1955). Asiatic Magnolias in cultivation. London, The Royal Horticultural Society.